Hey Kuulpeeps, you know we care about your health right? Yeah, that’s why we’ve got this piece to help battle the cold weather. We’ve got some home remedies to help you fight and prevent cold. 2. Add the boiling water and allow it to steep for 5 to 10 minutes. 5. Add honey if you want to add taste and enhance the benefits. Salt water gargles are a simple, safe, and frugal home remedy. They’re most often used for a sore throat, viral respiratory infections like colds, or sinus infections. They can also help with allergies or other mild health imbalances. Salt water gargles may be effective for both relieving infections and preventing them from getting worse as well. Making a salt water gargle is quite easy. It requires only two ingredients — water and salt — and takes very little time to make and apply. It’s also completely safe for children over 6 years old and for those who can gargle easily to use. It also helps to improve your dental health. A luke-warm water is moderately warm (tepid). Most of us start our mornings with a fresh, hot cup of coffee or tea to warm our bodies after getting out of bed. 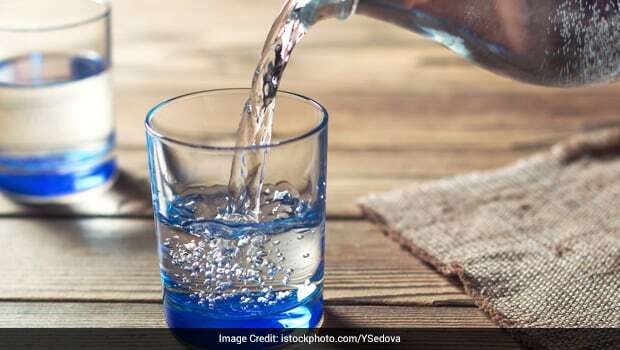 When we drink water, we tend to prefer it cold, but according to Ayurvedic medicine, we have it all wrong. Regularly drinking very warm water, especially in the morning, can heal our bodies, providing digestive power and reducing metabolic waste that could have built up in our immune system. Some benefits of lukewarm water are: it aids blood circulation, it helps sheds excess pounds and it helps cleanse digestion. Many of us are used to drinking a concoction of honey and lemon with warm water first thing in the morning. This Trio has a lot of benefits you hardly didn’t know about. The Honey lemon drink is also excellent for increasing immunity. It helps you stay protected from common infections and diseases the season change causes. Drinking this mix on a regular basis will bring down in you the instances of cold and flu and other allergies. If you are bored of drinking normal water, squeeze few drops of lemon and ½ a teaspoon of honey with cold water. It makes for an excellent low-calorie flavoured water drink that can be had any time of the day. A hot toddy, also known as hot whisky in Scotland, is typically a mixed drink made of liquor and water with honey (or, in some recipes, sugar), herbs (such as tea) and spices, and served hot. Hot toddy recipes vary and are traditionally drunk before retiring for the night, or in wet or cold weather. If light soup doesn’t make the list then it’s not a valid page. Light soup is like the oga, that’s why we saved the first for last. Mouthwatering I know, our mothers know how to make the best. Get your mother to get you a hot light soup to cure that cold of yours. It’s very healthy and does the magic. There you go, now let’s fight some cold. UG: Facing Water Problems In Your Hall?? Here Is Why. See er! These foods Should Be “Eradicated” From Your Diet If You Have A Dry Skin!